Standard Chartered Bank Zimbabwe has re-activated ‘Swipe Into EcoCash’, a feature that allows Ecocash customers who bank with Stanchart to fund their wallets directly from their bank accounts. The Swipe into EcoCash feature, which had been deactivated by the bank about two weeks ago, allows any bank customer registered for EcoCash – including Standard Chartered Bank customers – to transfer funds from their bank account into their EcoCash wallet, using their Zimswitch-enabled swipe card on any Steward Bank point of sale (POS) device. The media last week reported a customer-outcry over the bank’s action to suspend the service. Some Standard Chartered Bank (StanChart) customers reportedly complained that it was unfair for the bank, in the face of the current cash shortages, to refuse to integrate with EcoCash when the bank did not have sufficient cash for its depositors to withdraw in order to meet their financial obligations. But StanChart, through its corporate affairs and brand & marketing head Ms Lillian Hapanyengwi, last week allayed the customers’ fears, saying the bank was in the process of resolving the temporary glitch, and was working at directly integrating with EcoCash. Hapanyengwi was quoted as saying the bank had already integrated its banking services with the two other mobile money transfer services, OneMoney and TeleCash, and that EcoCash would follow soon. The reactivation of ‘Swipe into EcoCash’ will come as a relief to the thousands of EcoCash customers who bank with Standard Chartered Bank. 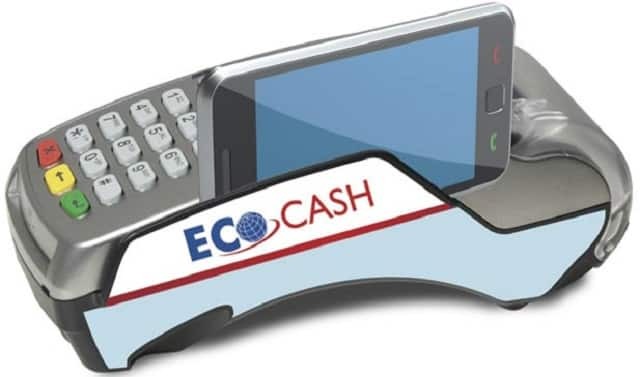 EcoCash is by far the market leader in mobile money transfer sector, and its customers will likely form an overwhelmingly big majority of the bank’s customers.Stanchart to fund their wallets directly from their bank accounts.